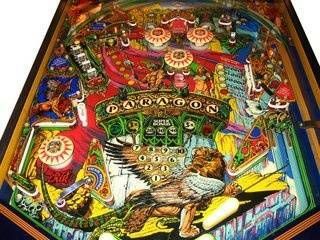 » Forum » All Pinball » Best-looking (or most beautiful) pinball machine? 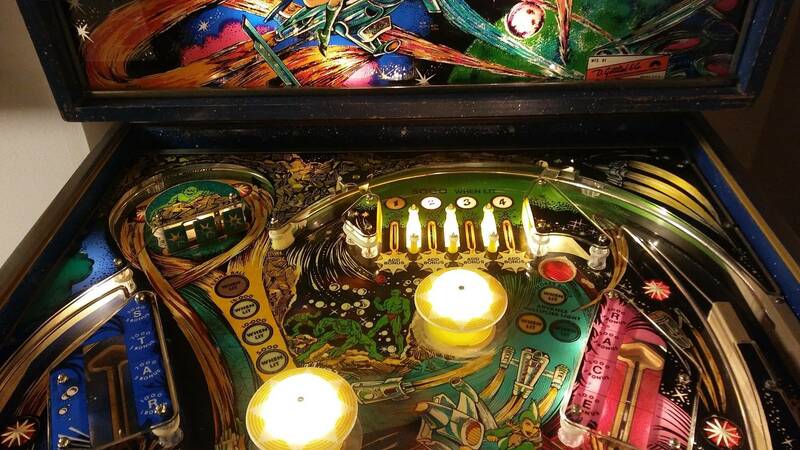 » Best-looking (or most beautiful) pinball machine? 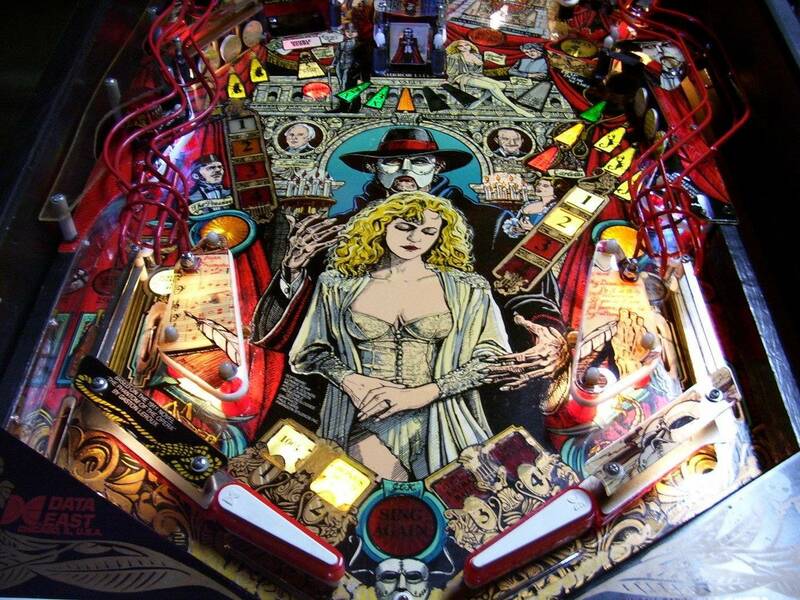 Best-looking (or most beautiful) pinball machine? Hi folks! 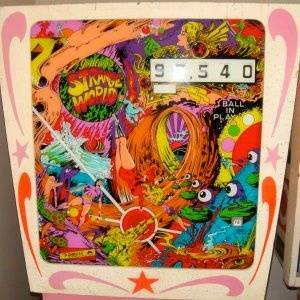 I was just wondering which machines you guys think are among the prettiest as far as artwork goes. I have to say I was impressed when I saw the Phantom of the Opera (I have only played the computer version though). I also like Theatre of Magic. 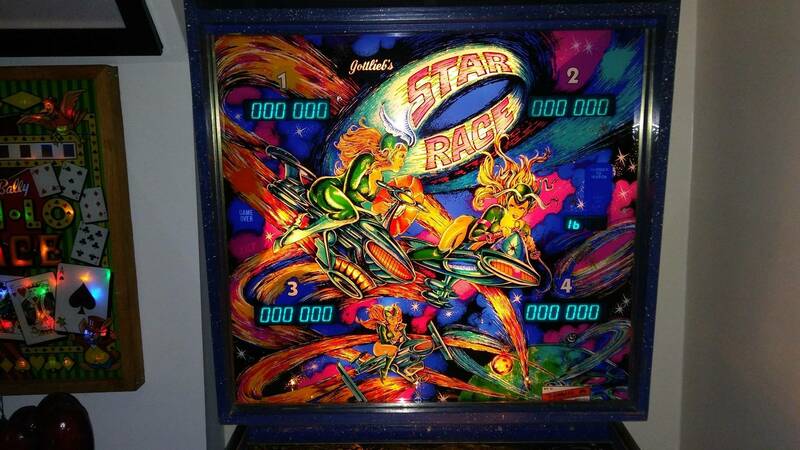 I'm a newbie, so there are probably plenty of good-looking pinball games that I don't know about. Bally "Class of '81". 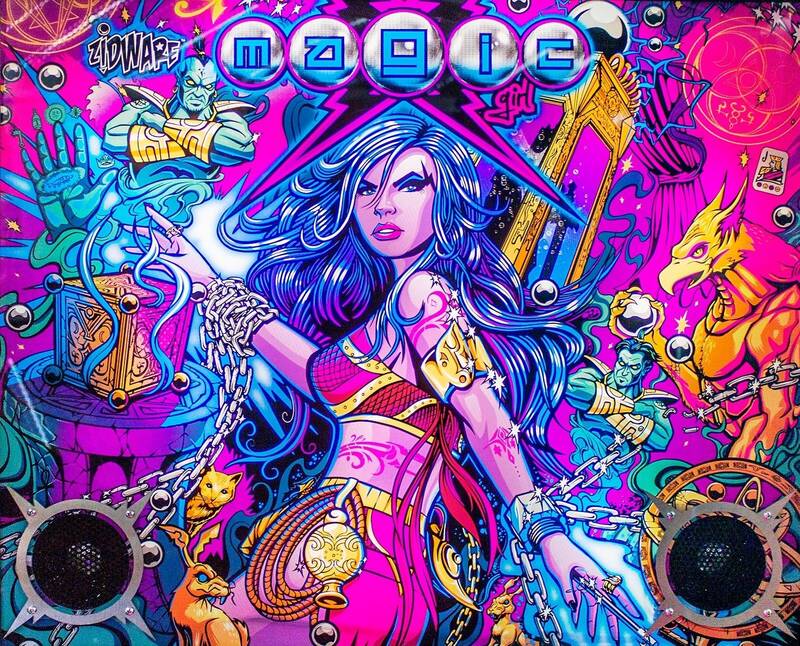 Video games were booming like crazy,and it forced the industry to focus on artwork to make pins more attractive. hobbit, prettiest machine ever made! Yeah, hard to argue with Fathom. If I could make a separate modern category, I might pick Houdini. 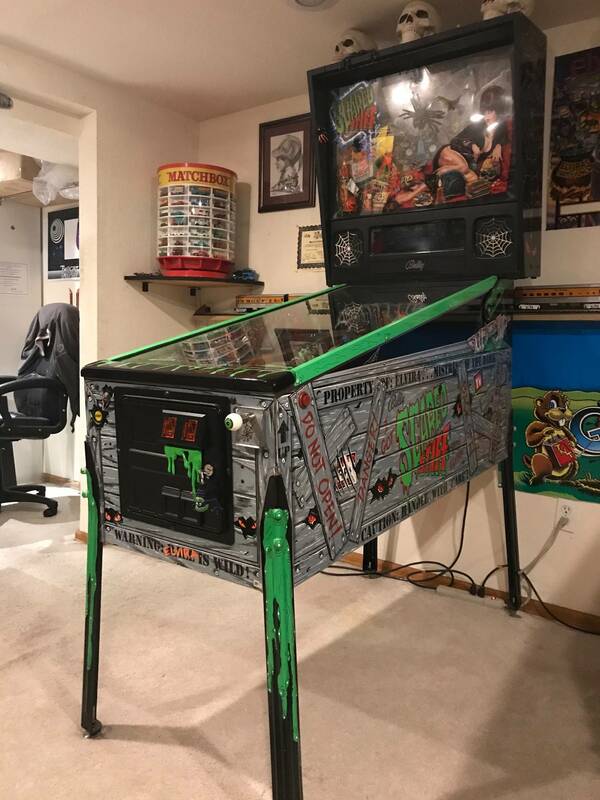 That machine is just stunning to me. TOTAN with unfaded cab artwork. 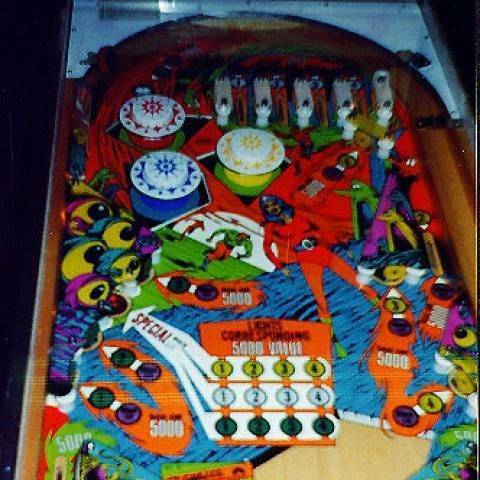 Damn near any pin you want to pick from the 80's. No way that there is a correct answer to this question. Todays games really look amazing but there are alot of old EM’s that look amazing as well. 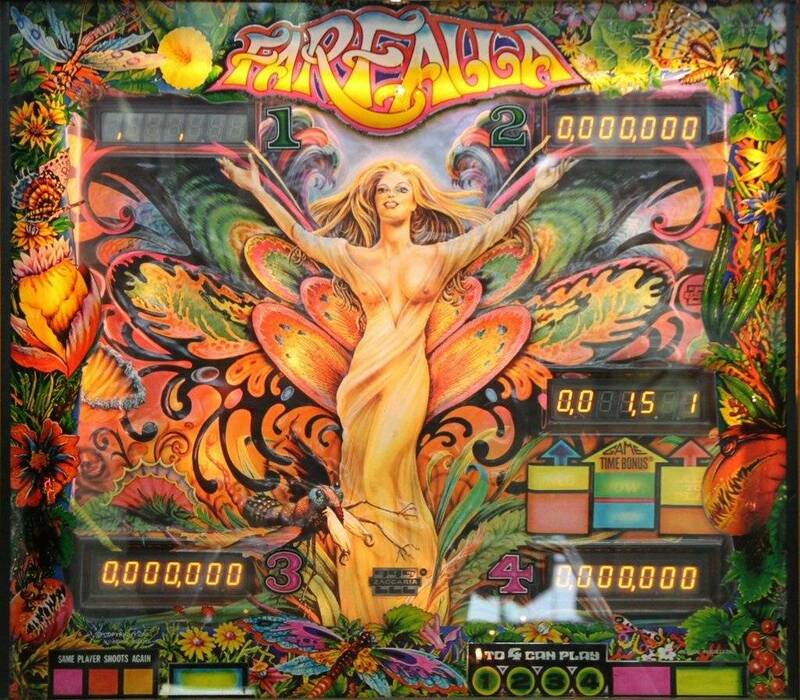 To me the games that have the most “interesting” artwork (not saying best looking) that really makes me want to look at the artwork all over the entire machine would be the old EM’s. 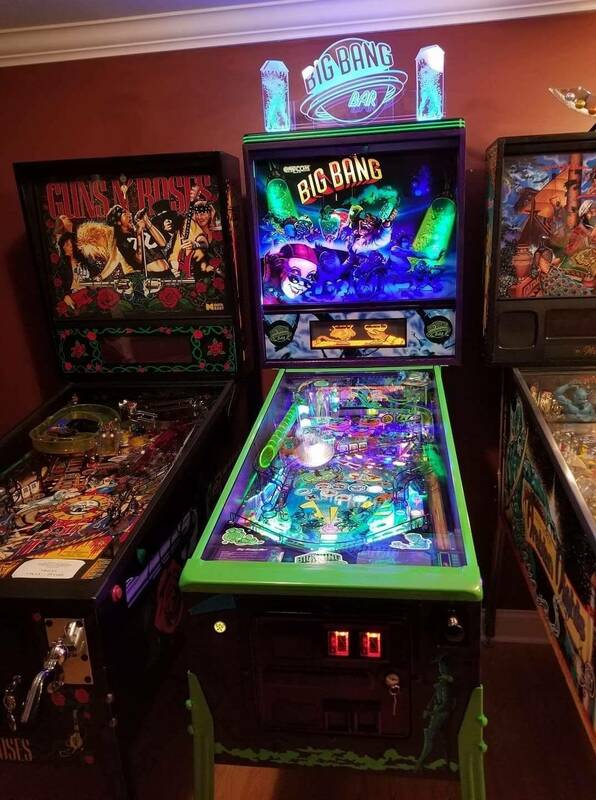 All eras of pinball are great truthfully. 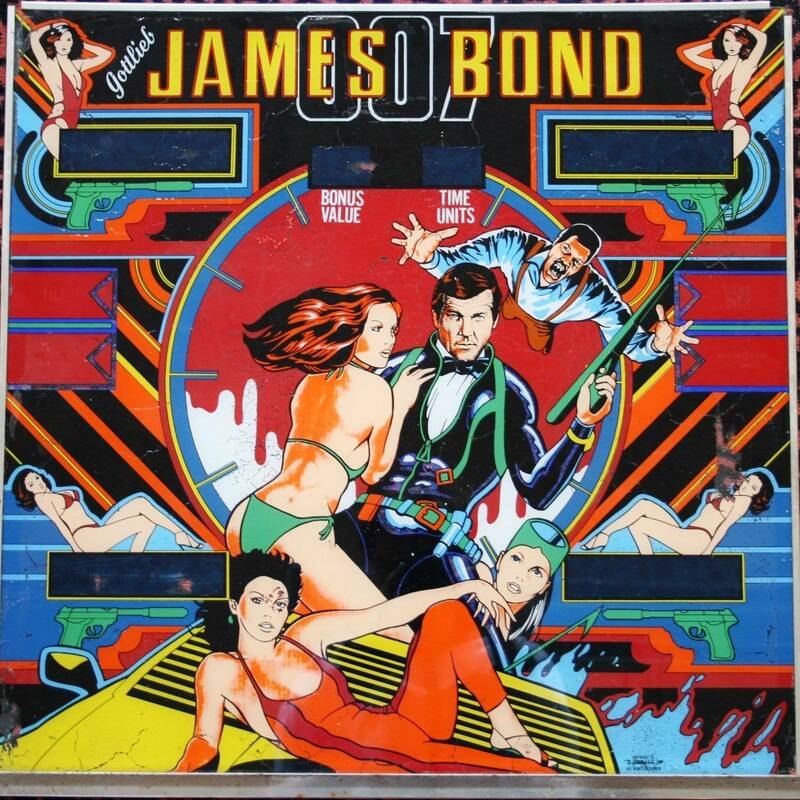 Art is a HUGE and important part of pinball. 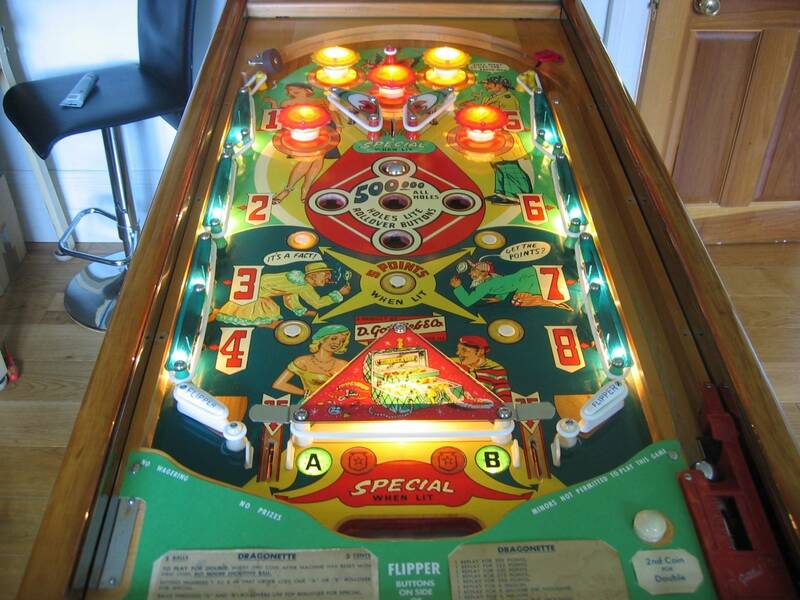 Though this topic is subjective, I'll narrow it down to one of the many machines that we've had in our collection. 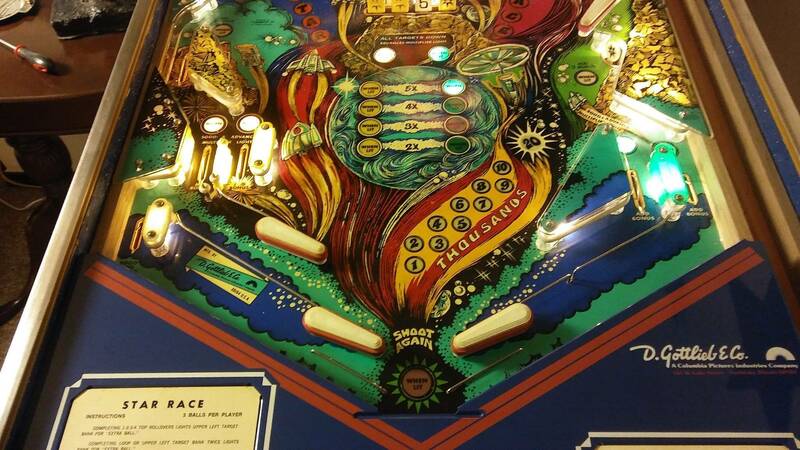 GB was the most visually stunning pin, but it only lasted a month in the lineup. The gameplay was decent at first, but the linier rules became repetitious. "We've Got One & Who Brought The Dog" was always the same old stale initial mode progression, w/ no way around it. Those phrases permentally echo in my head & I'll never be the same. But w/ the acquisition of other great & "good looking" machines (MET, WD, ST, etc.) > the voices have subsided. Anything with a nice mirrored back glass. Most of the new pins just don't cut it when it comes to that part of the machine. For me it would be the Ballys from the 80s, Paragon, Fathom and Centaur. Another vote for xmen le magnito version. Strictly artwise, Ghostbusters for a newer machine. Escape from the lost world for 80's era. 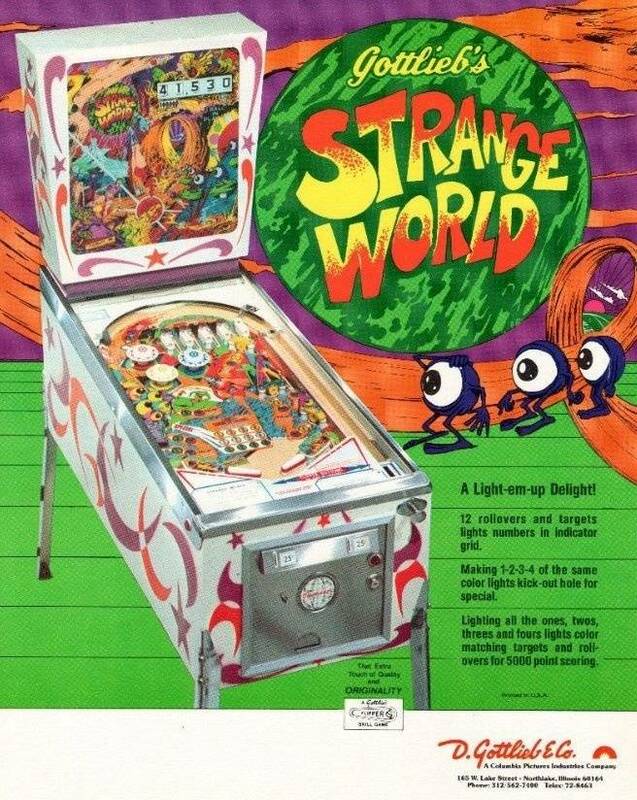 Gottlieb Strange World. Gordon Morrison at his best. Bally Paragon for solid state. I recall being captivated by Xenon when I would see them on location and still love looking at them today. Although I wouldn't call it "beautiful", Space Invaders had an artwork package that really drew you to the game. 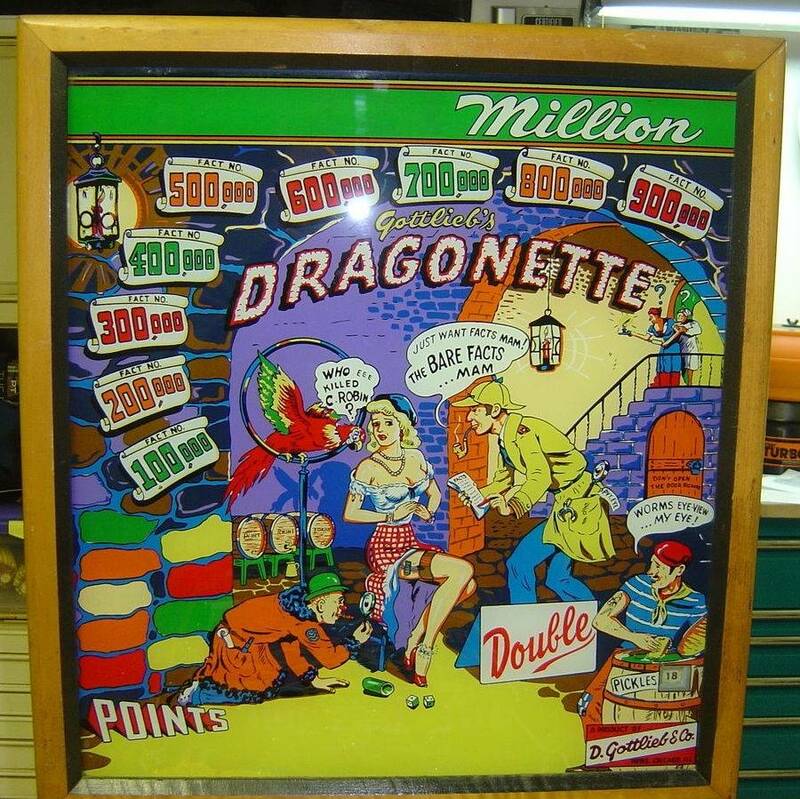 Way cool backglass artwork made exponentially cooler by the infinity mirror and strobe light effects, a playfield with tons of amazing detail on it, and one of the most intricately detailed stenciled cabinets ever. 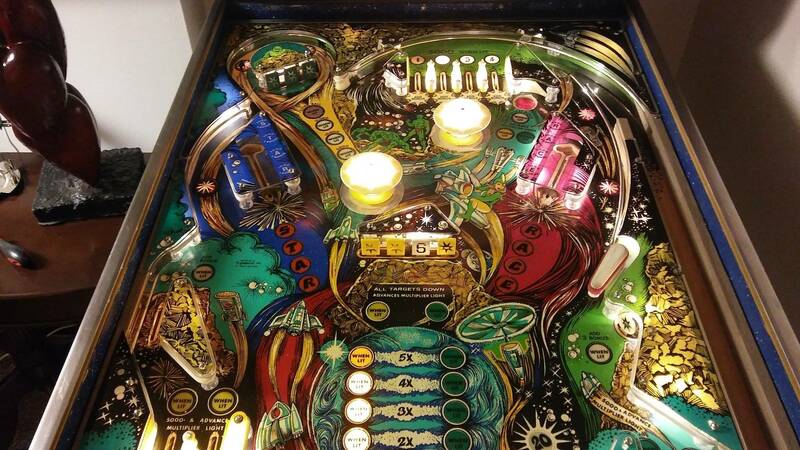 Someone brought a Zacarra "Farfalla" to Pintastic that was simply lovely. Sometimes the "best-looking" machine to me is the one I just loaded in the back of the Jeep to bring home. Pretty much every Atari machine is stunning. 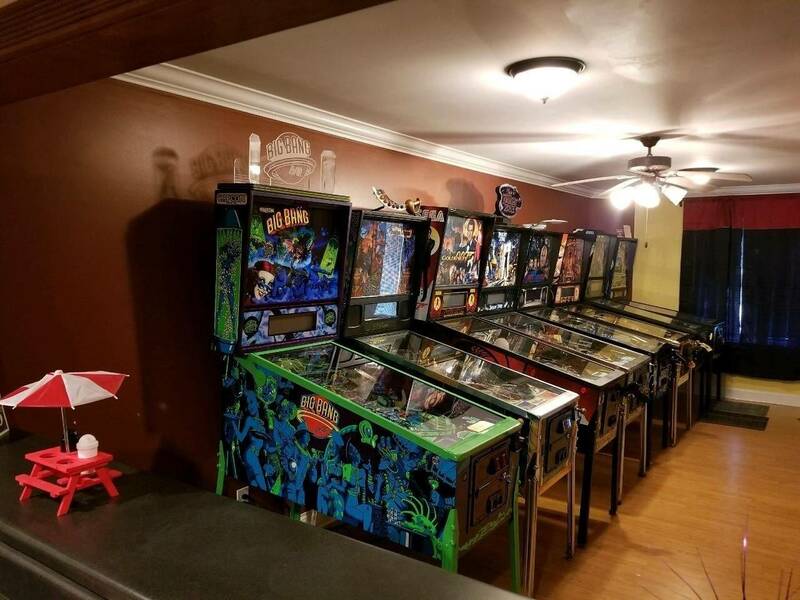 I also really like Cybernaut, PinBot, Black Knight 2000, and Sorcerer, but generally speaking every 80s machine visually appeals to me (with the exception of those photo-backglass games). 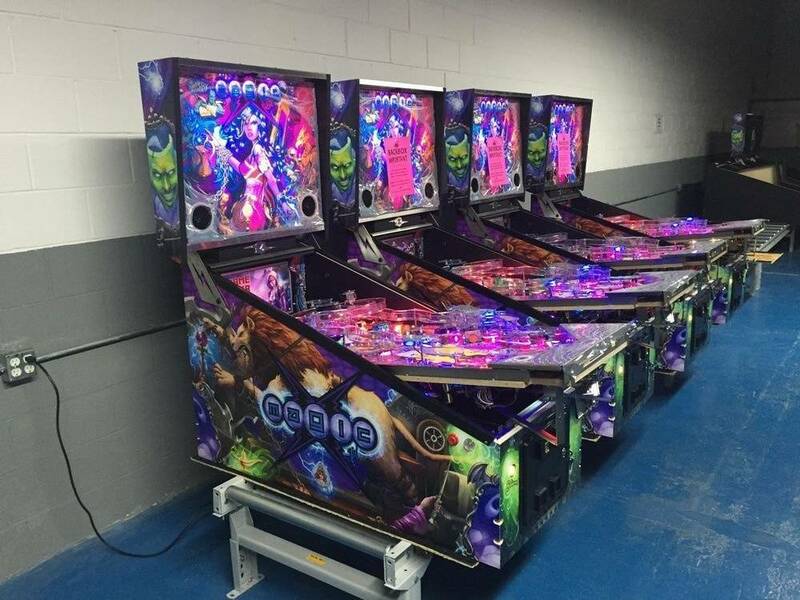 What no Xenon, or Pinball Magic. Classic artwork of a bygone era. TOTAN or CV. Such beautiful works of art. I have never seen MG live but I expect that I would vote for it too. Any pin done by Chris Hutchins. . . Among older games I also really like the looks of Genie and Eight Ball. But I guess I do have that tendency to fall for the pretty girls. Man how do poeple not say Creature from the Black Lagoon? I just always thought that game looked so awesome, especially the way it has the light waves ripple over it. CV and Hobbit. Totan in there as well. I can't believe anyone could down vote this post. I mean look at that beauty. 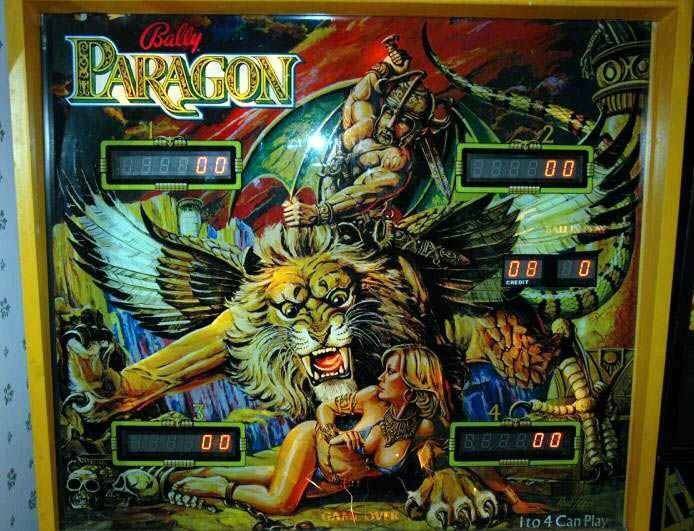 I totally want to buy a Paragon one day. As the art work and backglass are just amazing and remind me of Frank Frazetta. However, the gameplay is what puts it down on my must own list. Just doesn't excite me... I've only played digital version of it, and watched papa videos. Just seems a bit boring. But, when I amass my epic collection it'll be there and it'll be fantastic! Thanks for all the responses but uh.....do we have a list of abbreviations somewhere around? I looked up Farfalla and it looks pretty interesting (and I am guessing rare? ), is it any fun to play?